If your dream smile seems out of reach due to having multiple dental problems, our team at Cornerstone Dental has the perfect solution for you. Dr. John D. Beckwith and Dr. Arlene O’Brien perform what is known as a smile makeover to address a wide range of aesthetic and structural issues. This comprehensive solution can help you obtain beautiful, healthy teeth by correcting the specific dental problems affecting your smile. Whether you have minor aesthetic concerns or severe functional issues, our highly experienced dentists can effectively treat the damage to help give you a smile you are proud to reveal. The smile makeover is a versatile solution that is designed to address each patient’s unique dental problems. Drs. Beckwith and O’Brien will work closely with you to determine what areas need improvement so you can ultimately reach your goal outcome. After performing an in-depth oral evaluation, our cosmetic dentists will create a custom treatment plan to address your individual needs. This can include cosmetic dentistry treatments, as well restorative options for a full mouth reconstruction. The advanced nature of smile makeovers allow our team to utilize a variety of solutions to repair chips or cracks, replace missing teeth, or reverse other damage that may be present. When you come in for your consultation, one of our knowledgeable dentists will sit down with you to discuss the oral problems you have and which solutions can best help you reach your goals. If you are focused on upgrading the shade of your smile, we offer one of the most effective whitening technologies available. Zoom!® teeth whitening can help lighten your teeth eight shades or more in approximately one hour for dramatic results that are immediately noticeable. In addition to our in-office treatment, the cost of your teeth whitening will also include professional-grade whitening trays you can use to enhance—and maintain—your results from the comfort of your home. If you feel compelled to hide your smile because of gaps, stains, misalignments, short teeth, or chips, porcelain veneers can often be an ideal solution to restore form, function, and beauty. Porcelain is a durable, long-lasting material that bears an unmatched resemblance to natural teeth. Veneers are expertly manufactured in an advanced dental laboratory for a precise fit, and they are color-shaded to blend in with your surrounding teeth for a natural-appearing result. Invisalign® provides an excellent option for patients bothered by crooked or misaligned teeth. With these clear aligners, many of the inconveniences and limitations of traditional metal braces are addressed—smiles no longer have to be obstructed by metal wiring, and there are no restrictions in patients’ diets. Overall, this orthodontic technique can offer greater comfort, reduce the frequency of office visits, and achieve optimal results in less time than many alternatives. Porcelain crowns are extremely durable “caps” placed over weakened or damaged teeth for enhanced structural support and improved aesthetics. Versatile in usage, this dental solution can often be ideal for restoring teeth affected by large cavities, supporting dental bridges, and reinforcing teeth after a root canal. Crowns are also fixed to the tip of dental implants when replacing missing teeth. When manufactured from porcelain, dental crowns can last decades and provide an appearance indistinguishable from natural teeth. Your porcelain crowns will be custom-designed to fit comfortably and match your natural tooth color. In addition to their authentic look and feel, porcelain crowns can help restore tooth structure and protect from future wear and tear. Learn more about porcelain crowns. For many individuals, dental implants provide an excellent way to permanently replace missing or severely damaged teeth. Missing teeth are a health concern as much as an aesthetic one, since exposed gum tissue can lead to oral infections and inflammation. 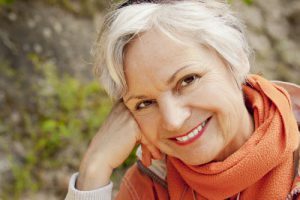 Along with addressing these problems, dental implants can provide a number of benefits, including preventing further bone loss and offering an incredibly natural-looking and -functioning tooth replacement solution. Dr. Beckwith is considered one of the country’s top providers of dental implants. He has particular expertise in the complex dental implant procedure, having completed extensive postgraduate training. His proficiency with the surgery has earned him the status of Fellow of the International Congress of Oral Implantologists (ICOI), as well as Diplomate of the American Board of Oral Implantology/Implant Dentistry (ABOI/ID). With his advanced skill and experience in placing dental implants, Dr. Beckwith is able to conduct the entire procedure in our office, providing a more convenient and efficient process. Implant supported dentures can be a superior alternative to traditional dentures for qualifying individuals. Oftentimes, patients find that dentures are uncomfortable to wear, require too much maintenance, or cause irritation from slipping along the gumline. Implant supported dentures are anchored into the jawbone via dental implants, providing greater comfort and exceptional security while still having the flexibility of snapping in and out of place. Patients with implant dentures generally enjoy no diet restrictions, improved chewing, an enhanced aesthetic appearance, and minimal maintenance. Learn more about implant dentures. To learn how a smile makeover can give you the smile you have always wanted, contact us today to schedule your consultation.